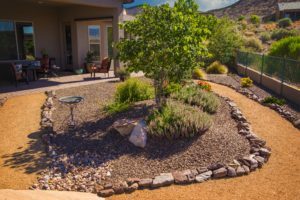 New Life Landscapes Inc is a BBB A+ rated & accredited business and has more than 12 years of experience and a long list of satisfied customers. 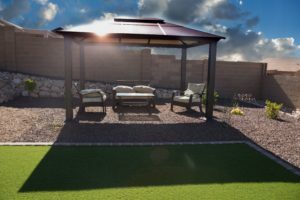 New Life Landscapes services the Prescott, Prescott Valley, Chino Valley & Dewey, Arizona areas. 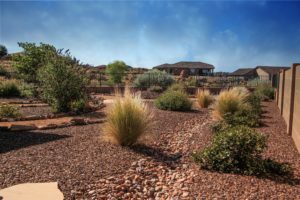 Our staff at New Life Landscapes will see your residential landscape project through from the initial consultation through the installation process with efficiency and professionalism. Our services include paved areas, rock scapes, driveways, retaining walls, stone, concrete, paver edging, and AstroTurf. We do grass, plants, trees, shrubs and garden work. As well as offer drip, drainage, erosion and irrigation systems and planning. If you desire an outdoor fireplace, fire pit, outdoor kitchens, water features, patios, lighting for the peaceful escape. We offer timber work and iron work to add to your beautiful landscape areas.